October brings us two holidays, Halloween and United Nations Day. 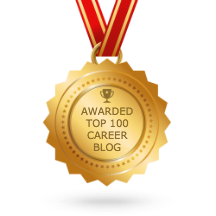 What do those events have to do with careers, you ask? If you graduated last March and haven’t received a decent job offer ’til now, I bet you’re scared to move back with your parents. But okay, let’s say you’re not a fresh graduate. Aren’t you the least bit afraid you’ll be stuck in a job you hate? Which brings me to my next point, or in this case, holiday – the United Nations Day on October 24. Every month, I get an email or two from people bemoaning the lack of good job opportunities in their field. Applicants in the booming industries, however, have complaints of their own. It’s tough to find a job no matter where you look. What else can you do? 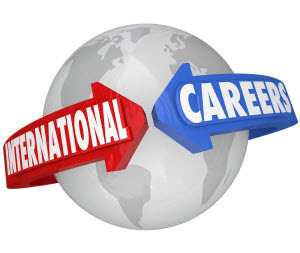 Surprisingly, there’s a possibility you’re forgetting a huge market – the international job scene. Working abroad improves your salary and way of living, especially if you snag a job where the exchange rate favors the dollar. Having international work experience also boosts your chances of getting an executive position, as more companies are looking for talents with experience doing business in a different cultural setting. Fluency in another language and knowledge of a different country’s business protocols are impressive skills, too. Despite the benefits of working abroad (even temporarily), many opportunities go unnoticed. Maybe because most applicants don’t know how-or aren’t even aware of the possibilities. Sites like Internations.org and Expat Explorer of HSBC can give you information about expat life in different countries, including detailed articles on quality of life, raising children abroad, transportation and healthcare. Before you get excited though, check the visa application process of the country where you want to work. Do this before sending your resume! Recruiters, in general, won’t interview applicants that need to wait 6-months before their visa arrives. Finally, prepare for a different application process. In Japan, they say resumes have a picture. In Brazil, teamwork is valued more than individual accomplishments. These may be subtle differences, but if you don’t take time to ‘localize’ yourself, you’ll definitely have a hard time getting a job.